When Adele sings “Hello,” people are clearly listening—to the record-setting tune of over 3.3 million album purchases in a single week. When you greet your smart device with a verbal introduction, however, well, let’s just say the results aren’t quite as clear. Though they were hailed as “The Next Big Thing” when they were first introduced, Smart Assistants, or Personal Assistants, such as Siri, Google Now, and Cortana, haven’t exactly torn up the charts. Yes, there was a big initial splash—especially after the initial release of Siri on the iPhone 4S in October 2011—but there has been an equivalent, if not even larger, backlash since then. In fact, Siri quickly devolved from something people marveled at to something people joked about. To be fair, Apple has made significant improvements to Siri since then, and the introduction of both Google Now and Microsoft’s Cortana has raised the bar for the Smart Assistants category as a whole. In order to get a better sense of where things stand now, I included a few questions on the recent TECHnalysis Research Consumer Device Usage study of 3,012 people across five countries (US, UK, Germany, Brazil and China) to find out who may be using these verbal assistance-based capabilities, what they’re using them for, and what they think about them overall. The results show that while Smart Assistants are making progress, they still have a long way to go before they really become mainstream tools, particularly with older consumers. The chart below shows which age groups are using which Smart Assistants, and which use none at all. While there are a number of very interesting points that can be gleaned from this chart, the first thing that stands out is that nearly half of all respondents across all age groups (Total) said they don’t use Smart Assistants at all, and another 9% don’t know what any of the Smart/Personal Assistants actually are. Amongst the 1,024 US respondents, the result was just over 50% saying they don’t use Smart Assistants and 7% who don’t know what they are. (Note that the totals add up to more than 100% because respondents could select all the Smart Assistants they use, with the average number they use being 1.2.) So, for both worldwide (WW) and the US, only 43% of device-owning consumers said they use Smart Assistants. Clearly, this suggests that more work needs to be done to make these voice-based capabilities more compelling (and, likely, more accurate) before a much wider audience will actually use them. Breaking the results down by age group, only in the 18-24 and 25-34 age groups are there more people who use Smart Assistants than don’t (in the US results, only 25-34s). Also, there is actually a smaller percentage of 18-24-year old Millennials using Smart Assistants than 25-34-year old Gen X’ers (47% vs. 62% in the US and 52% vs. 57% worldwide). These somewhat surprising numbers suggest that younger device users are not necessarily the most proactive when it comes to using the latest features, or that voice-based control isn’t as interesting, or necessary, for younger users as it is for slightly older users (or, most likely, some combination of these two possibilities). Regardless, it reflects a subtle, but potentially important shift about the expectations that future generations of device owners may have. Interestingly, the activities for which Smart Assistants were used (by the 43% who used them) was actually very similar across age groups, both worldwide and in the US. The chart below shows the top-level results for the full five-country sample of 1,286 Smart Assistant users. The top activity by far was requests for information searches, followed by asking for directions. (One difference in the US results is that over 59% of US respondents asked for driving directions, versus just under 53% worldwide). Asking to do certain activities on the device, such as play music, launch apps, adjust settings, etc., was done by fewer than half of Smart Assistant users. Truly “smart” activities, such as using a Smart Assistant to make suggestions of other things, music, restaurants, etc., were only done by 1 in 5 Smart Assistant users. It is a bit disappointing to see how few people are using Smart Assistants. It’s also frustrating to see how little they’re being used for truly smart activities. Of course, the other big data point from the first chart was the dominance of Google Now usage over other Smart Assistants, particularly among younger users. It turns out Google Now also edged out both Cortana and Siri on an overall satisfaction rating as well, but just barely, with an average of 3.8 (on a scale of 5), versus 3.7 for Cortana, and 3.6 for Siri. 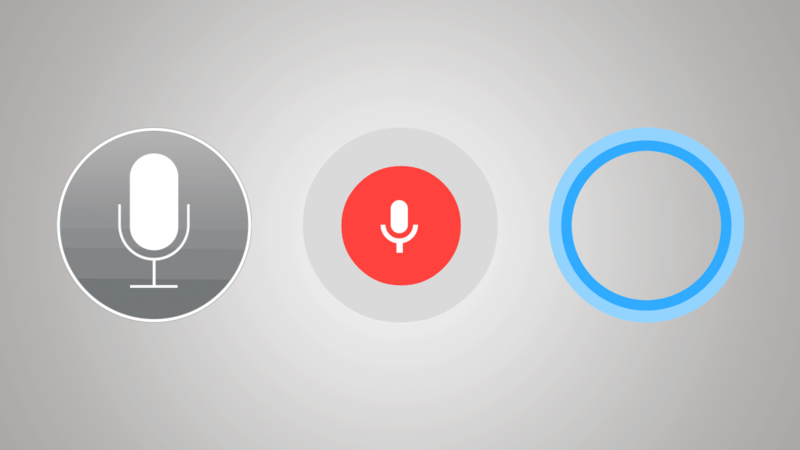 In the US, Google Now and Cortana were statistically tied at 3.9, while Siri had a 3.5. The notion of a voice-based interface, and the concept of talking at your devices was more science fiction than science fact for a very long time, so the fact that we’re making any progress in this challenging area is unquestionably a good thing. Still, expectations continue to be very (and probably unrealistically) high for these technologies, so it is a bit disappointing to see how few people are using Smart Assistants. It’s also frustrating to see how little they’re being used for truly smart activities—the most common usages are arguably little more than simple typing replacement. There’s no question that truly Smart Assistants will be a critical part of future devices and services we use, but it’s also increasingly clear that we still have a long way to go before we reach that digital nirvana. Bob O’Donnell is the founder and chief analyst of TECHnalysis Research, LLC a technology consulting and market research firm. You can follow him on Twitter @bobodtech. This article was originally published on Tech.pinions. Header image credit theunlockr.com.